Energy storage technologies have huge potential to significantly contribute to the transformation of Indian electric grid towards a greener, resilient and reliable grid within the next decade. Advanced energy storage technologies can play an important role in renewable integration, energy access, electric mobility and smart cities initiatives by the government. Ever since the existence of an electrical grid, operators have been looking for ways to safely and efficiently store energy so that it can be supplied and consumed on demand. Over 20 different types of grid scale energy storage technologies are either commercially available and/or are under development across different regions worldwide. This includes mechanical storage like pumped hydro storage, flywheels, compressed air and electrochemical storage such as lead acid, advanced lead acid, lithium ion chemistries, sodium-based batteries, nickel-based batteries and flow batteries. Advancements in fuel cells and traditional thermal storage are also relevant to various emerging applications. Energy storage is resource-neutral i.e. it allows us to use electricity more efficiently, regardless of the power source. Whether the energy production is from a thermal power plant or wind power from a field of turbines, energy storage technologies can capture the energy and make it available when most needed. It also provides quality and reliable power to the end consumers. There are an estimated 240 million people who still do not have connectivity to the grid which needs to be addressed. The total energy storage market between 2015 and 2022 in India is expected to rise from 4.4 GW to 70 GW. Out of 70 GW, over 35 GW of demand is expected from newer applications like wind and solar integration, frequency regulation, peak management, transmission and distribution deferral, diesel replacement and electric vehicles. With the rapid reduction of solar and wind energy costs, Indian grid now needs solutions for renewable integration. This transition is supported by significant push for giga factories for advanced energy storage technologies such as li-ion that is driving down the cost of energy storage at a pace even faster than the solar PV cost reductions witnessed in past decade. India is anticipated to become one of the best markets for adoption of energy storage technologies, given that it is the fastest growing economy coupled with factors like increasing share of renewables, transmission constraints, need for providing 24x7 quality power and electric mobility mission. India's energy storage market is currently dominated by lead acid batteries with annual sales of over $6 billion. In the past two-three years, India has also witnessed deployment of over 1.5 GWh of Li-Ion batteries for distributed and transportation applications. 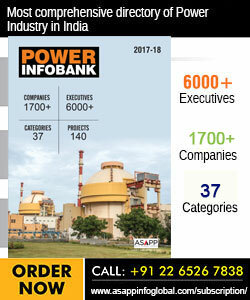 Currently, most of the investment decisions for power sector are being driven by average system costs, while there are various applications, where the marginal costs of current technologies or solutions being planned are significantly higher even that current cost of utilising advanced storage technologies. E.g. diesel replacement is a low-hanging fruit, but due to various subsidies given to island consumers, they are not witnessing the true cost of power from such sources. Also, even in case of areas where diesel generators are used, there is an opportunity to improve efficiency by increasing loading of the generators for certain hours and shutting them down for other times where solar + storage can meet the load. On part-loaded condition, the marginal cost of electricity from diesel generator could be higher than 20 `/ kWh, but due to lack of policy certainty and delays in decision making, we are yet to achieve goals set up for greening the Islands. For electric transportation, we need to have a clear strategy for addressing the need for charging infrastructure. Then only India can mainstream electric vehicles. India should also utilise hybrid electric vehicles as part of the transitioning towards 100% EV goal by 2030. Also, for this market to grow, we need to focus on building local manufacturing eco system as well as invest in skill development for ensuring sales support. 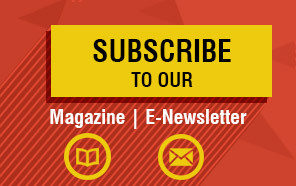 IESA has launched focused initiatives to work with policy makers to address each of this challenge such as Microgrid Initiative for Campus and Rural Opportunities (MICRO) and Moving Onward to Vehicle Electrification (MOVE) to focus, apart from our work with MNRE Standing committee on energy storage and hybrid systems. India is expected to attract investment in 2-4 giga factories for advanced Li-ion batteries, attracting over $3 billion in investments in the next three years. Already, over 1 GWh of annual assembling capacity is being set up for converting imported Li-ion cells into battery modules by various Indian companies. Opportunities include manufacturing, assembling, energy storage project development, equipment supply, research and development (R&D) of technology enhancement, and much more. In this regard, several Indian companies are eying the storage market while a few are also diversifying their existing business into energy storage space. Policy makers in India have recognised the potential of energy storage that can help in Indian government to meet various policy priorities such as National Solar Mission, National Electric Mobility Mission, and Mission for energy access. NITI Aayog and MNRE have been working on the draft national energy storage mission for the past one year. According to the policy makers the biggest challenge for storage is the higher upfront cost. Globally, the prices for storage technologies are reducing rapidly and have fallen by 90% in the previous 10 years. With local manufacturing, we can accelerate this cost reduction. At the same time, there are other challenges on the policy front. The main policy intervention required is the need for transparent price signal for electricity that values the peaking power and flexibility. We also need removal of barriers such as higher Goods and Services Tax (GST) (18% for batteries vs 5% for solar) and import duties for kick-starting the market for advanced energy storage in India. India has an ambitious plan of 170-GW renewables by 2022, including 40 GW of rooftop solar, 60 GW of grid-scale solar and 60 GW of wind. The key challenge for reaching these targets would be the ability of the grid to integrate variability associated with these renewables, as well as the huge investment required for upgrading the transmission and distribution (T&D) infrastructure. Energy storage can help in better integration of these renewables by providing multiple values to the system such as optimising T&D investments, addressing forecasting errors in wind and solar generation for more accurate scheduling, addressing local reliability issues by providing reactive power support and also enabling end users for managing peak load and more efficient utilisation of distributed renewables etc. With the rapid reduction in the cost of both solar and storage, customers can see solar plus storage as an alternative for peak power from the grid at the same time, utilities can avoid investments in peaker capacity or eliminate load shedding by utilising these resources. 2018 has already started witnessing the pickup of EV charging infrastructure deployment in various metro cities. 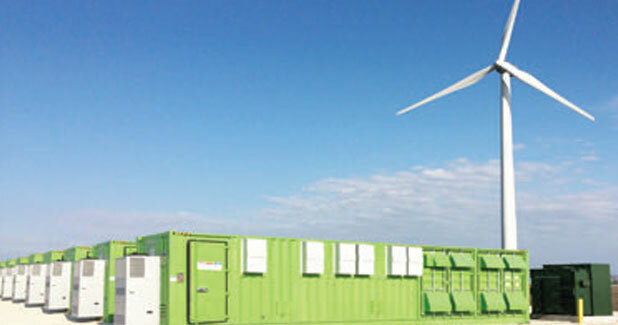 Stationary energy storage market will also start seeing tracking with MW scale deployments for renewable integration as well as C&I applications. By mid-2018, India will have over 1 GWh of Li-ion battery pack manufacturing capacity. We also anticipate that in 2018, at least two Li-ion cell manufacturing plants with capacity of 500 MWh, or more will start construction in India with anticipated completion for the end of 2019, or early 2020, bringing India on the global map of Giga Factories. With the introduction of various EVs (across 2W, 3W, 4W and commercial vehicles), India will start witnessing the adoption of EVs in 2018, fueled by central procurement led by EESL and various state agencies. If we start deploying energy storage projects in a systematic manner, this can create a huge interest in local manufacturing and system integration capabilities. IESA has set a vision to make India a global hub for manufacturing of advanced energy storage systems, and we hope that with a little consistent policy direction and support in implementation, we can achieve this dream by 2022.